First of all, I want to thanks Raz @ MP4Nation.net for the review sample. 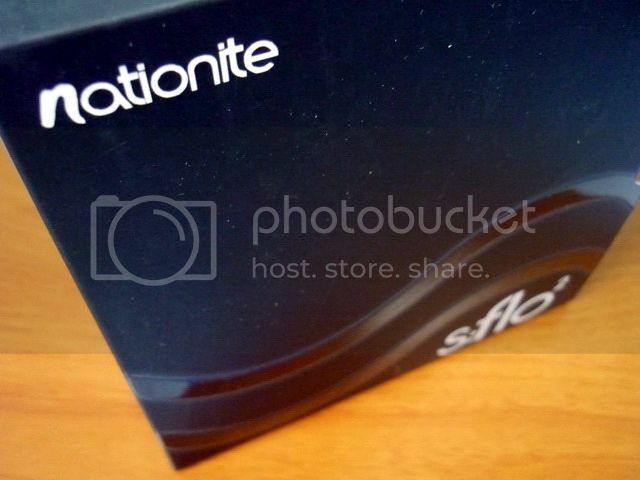 To be clear, 'nationite' is brand of MP4Nation.net. There are tons and tons of portable players and brands in China nowadays, but it is Raz's intention to rebrand some of the more well-made player and introduce them to the international market. While it is no denying that most of the Chinese players are not nearly as good as their foreign competitors, the market is moving forward rapidly especially in the lower~mid end section. They are slowly shifting from a pure low-price strategy to a more performance orientated mindset. The s:flo² (a.k.a. T51), like its elder brother the s:flo/T50, is manufactured by Teclast, one of the bigger domestic MP3 / MP4 manufacturer in China. Even since it was announced, T51 is marketed toward the audiophile community with its 'five cores' ads (five cores refer to the RockChip based processor, dual DAC chips and two opamps, one for the headphone amp section and one for the line-out section). Before the actual review, I would urge those of you who are really into the detail of s:flo² to check out this thread by maderin1 on MP4Nation's forum. It pretty much covers most of the generally operation / navigation aspects of the player with all the pros and cons of the player listed. While I will touch on some of the same topic, I don't want to go into great length to repeat what he has written down (especially since he already did a wonderful job at it). My review will be focusing more on the sound quality of the player, more or less from a portable orientated audiophile's POV. Also, those of you who wish to see a video review can check out this thread by brycewi on MP4Nation. "Five Cores" - RockChip RK2806 based solution, dual WM8740 DAC, Phillips UDA1308 (a.k.a NXP TDA1308) for headphone-out, and TI OPA2604 for line-out. 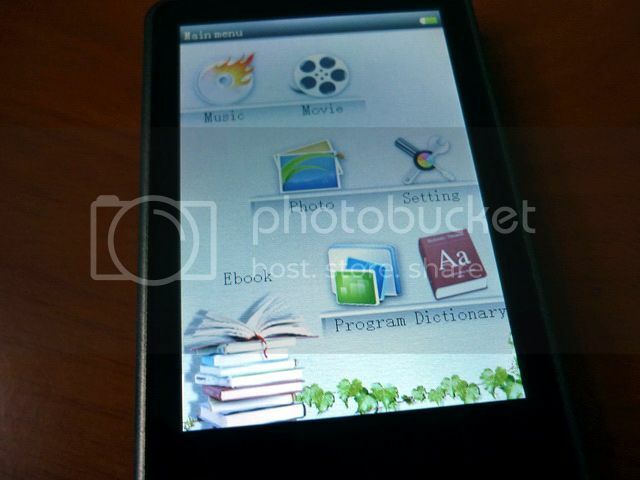 3.5inches 24bits MVP-TFT based capacitive touch screen, 320x240 resolution *¹. *1 - As quoted from manual, but I believe it is actually 480x320. *2 - Limited ID3 tag and album art support due to firmware issue. 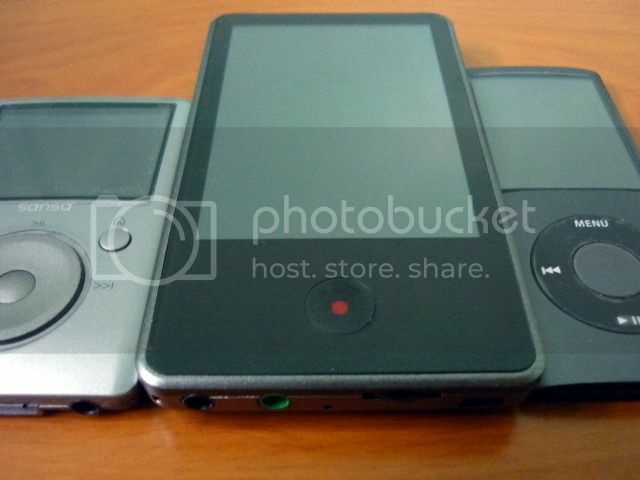 *3 - For comparison, iPod nano4 is about 36.5g and Sansa Fuze is 58g. s:flo² on top of the included 'Mofi' soft pouch, next to the included cable clip. From left to right: 3.5mm headphone-out, 3.5mm line-out (green), update hole (function unknown), potentiometer based volume control, mini USB jack. Left side of the player: Reset hole and MicroSD slot (insert in up-side-down fashion). Inside the box, you will find the player and most its accessories in another compartment: am USB cable, stock earbud, a simple manual, soft pouch and an USB charger. The charger outputs higher 1.5A 5VDC instead of the more common sub-1A. 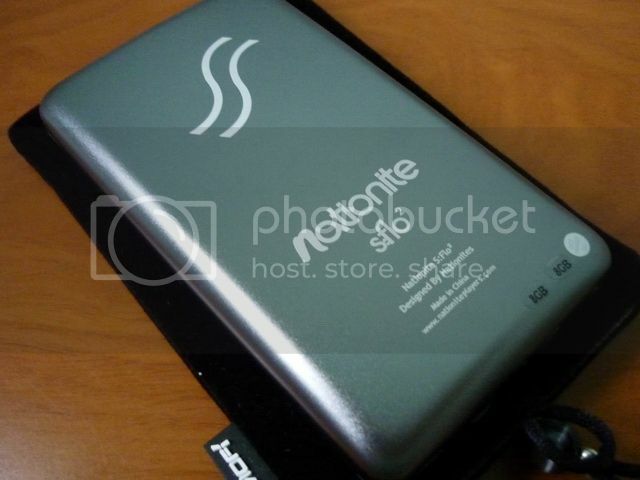 It is not that normal USB charger won't charge s:flo², but the high power demand of the player means the battery will take a long time to charge from a low output USB port. The build quality is excellent. Beside the front panel, the entire casing of the player is metal. There is no screw hole of any kind which suggests that opening the player up probably requires some serious prying, not that you should do that. If you read the spec, you will know this player is not small or light in any way. It doesn't feel especially heavy at hand but the metal housing is a little slippery (or smooth, depends on how you look at it) so a firm grip is requited. In a way, the metal housing serves as heat sink since the heat generated by the player is actually fairly noticeable. On a hot 28~30°C day in the tropic, you can expect the player, when put inside a confined space such as pocket or the included soft pouch, to be close to 40°C on the front panel and 37°C on the back (and 37°C is body temperature btw). It won't burn you, but it will be a bit uncomfortable / strange for the first few times. The reason for the heat is likely a combined effect from the high power demand on the battery, stepping up voltage and the high output of the opamps, so it is no way to avoid it totally. I don't find it especially bothering unless it is on a very hot day. On a cold day or an open environment, the heat is barely noticeable. The screen on the player is a nice 3.5 inches MVP type TFT screen (MVP = Multi-domain Vertical Alignment). 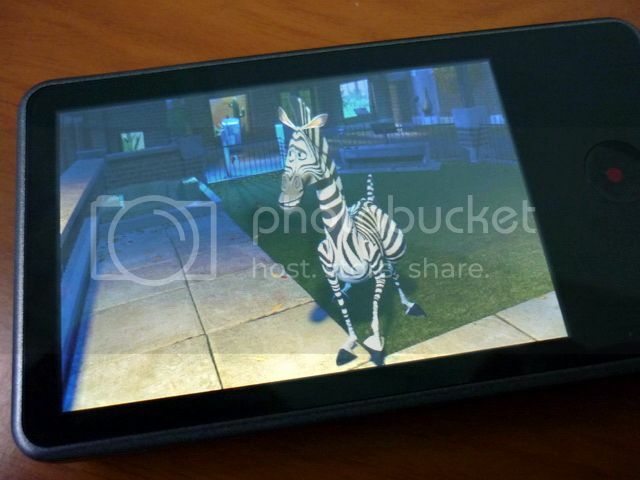 The color is very vivid (24bits) and the viewing angle is excellent. Small portable player usually have uneven washout viewing angle - for example, nano4's bottom and left viewing angle begin to washout at 30° but top and right angle doesn't washout at all. The screen on s:flo² begin to lose a tiny bit of color balance at 30° and becomes slightly more noticeable at at 45°, but it never really washout even at close to 90° unless you are viewing a very high contrast video clip. One thing I especially like is the use of potentiometer as volume control. Generally speaking it is very common to have unbalance issue on low volume when it comes to small potentiometer, but the good news is I didn't detect any unbalance until the lowest 1~5 degree, and that's on my most sensitive IEM. 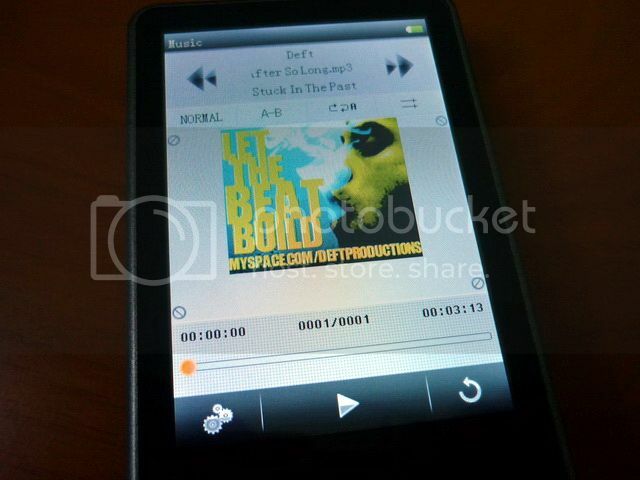 As a pure audio player, s:flo² is a little too big and heavy in my taste. I would probably be happier with a player 1/3 smaller in size and weight and has no touch screen at all. But given that it is not designed purely as an audio player (hey it does video and picture too), I have to said Teclast has accomplished a lot in T51 / s:flo². It is not perfect - but enough for me to want to carry it around. There is only one physical switch on the player, which is the center button with the little red dot (and it will flash when operating). The center button is for on/off (about 10 seconds press), reactivating the screen and returning to the main menu. 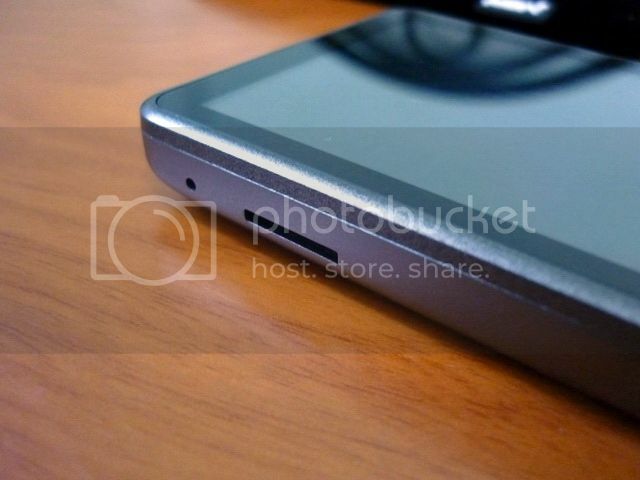 When the screen is on, the capacitive touch screen is on as well (vise versa). There is no physical 'hold' or 'lock' key of any kind, so you will have to set the screen auto-off timing to a shorter time if you want to turn-off the screen. The touch screen is fairly responsive, but it is capacitive type so using a stylus is out of the question. You will have to use your finger to do the navigation. It will take some time to get used to since the screen is not really that accurate on registering the whole finger tip and sometime it selects the next-in-line instead of what you want. Startup screen on s:flo² v1.2 firmware. 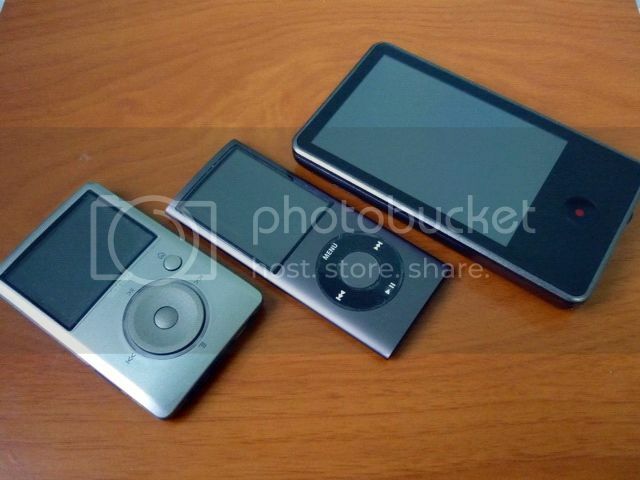 Overall the navigation is passable, which is somewhat the reality of most Chinese MP3 /MP4 player out there. Some menu items can probably be reorganized to more linear / less confusing fashion, but nothing an user can't get used to. The player doesn't really read ID3 tag that well on mp3 files, even worst on wma and flac. It displays files names instead of song names, and some time it doesn't even know how to read properly tagged files. Album art only works well up with music to certain file size. Playlist is a bit clumsy to use, no advance features like gapless. The only good news is the EQ, including the Microsoft PlayFX, is fairly good (but flac files has trouble working with EQ) - not that you really need the EQ, but we will leave the SQ discussion to the next section. The font on default interface looks pixelated, which is an result of using ugly font when designing the firmware - but you can 'mod' the firmware a bit to adapt different theme, if you are handy with photoshop. So, if you are looking for a sleek and intuitive player similar to iPod, look elsewhere; If you are more geeky and willing to compromise for what s:flo² can offer in SQ, then the rough (but functional) firmware isn't really that bad at all. Just prepare to use it as a simple MSC (mass storage class) device and you will be fine - that is, browse folder and play music in it, no 'genius' what so ever. The good news is, Teclast is still actively developing the firmware for their T51, which works as the same for s:flo² except for the minor things like startup / shutdown screen. I am actually using the T51 v2 firmware now and it works slightly smoother than the original s:flo² v1.2 firmware. Note that there are reports of freezing under normal operation that required reset to recover, but since I didn't face any freezing so far, except some minor USB problem on firmware v1.2 (mainly my Vista PC doesn't eject it properly), probably due to a bug that has been fixed on firmware v2. Again, for more detail on navigation, do refer back to maderin1's thread of 'S:Flo² / T51 :: Reviews, tips, tricks downloads and more' on MP4Nation.net. Main menu (style 1) on s:flo² v1.2 firmware. I didn't have the time to do a real battery draining test but I have use my s:flo² enough to estimate a rough battery life. With my music, which are mainly 320kbps mp3 files, I can get between 6~7 hrs of playtime. If you use low bitrate files, I would expect a close to or excess 8 hrs battery life. If you use FLAC and FLAC only, do expect less playtime. Strange that I feel video playback seems to eat battery slower than music playback. With battery draining so fast in music playback, I would imagine an 1~2hrs video playback might be its max (proportionally speaking), but in fact I have played a full length 1.5hrs movie clip and battery is only half drained. I didn't investigate into the detail of battery draining pattern, but it is a fair guess that different format will drain battery differently, just like music playback. Another fair guess will be that the RockChip processor has some special optimized playback design to minimize power usage on video. In any case, I can't say this is a bad thing at all. Video playback is smooth and in good quality. I tested full length DVD definition movies on avi, rmvb and mkv format and they all played fine. Through the screen resolution is limited to only 480x320, I didn't find any noticeable pixelation or lag during normal playback, fast forward/backward, or dragging the progress bar. It is however a little difficult to drag the progress bar to a precise point using finger tip. The easier way is to drag the bar to a close enough point then use the fast-forward/backward button to reach the destination. One small flaw about the movie playback is that it doesn't keep track of where you quit the movie so you have to restart every time. Movie is fairly enjoyable because of the vivid color and smooth playback. 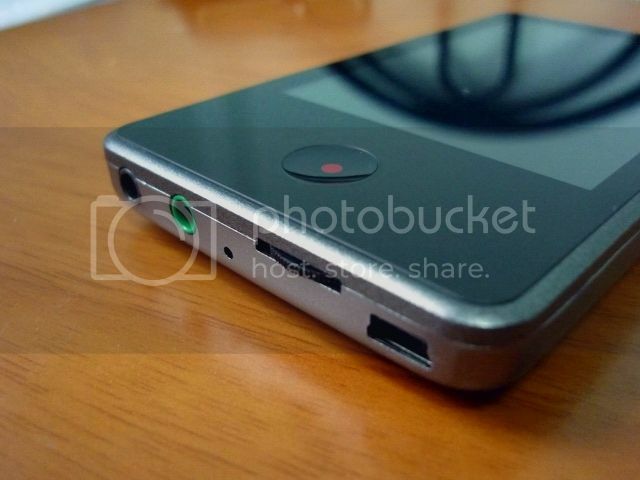 Photo viewer is decent on jpeg files. There is an one level zoom which allows you to drag the image around for closeup. I haven't tested any other kind format since a dedicated digital photo frame, which is uber cheap nowadays, can do a better job on displaying photos. 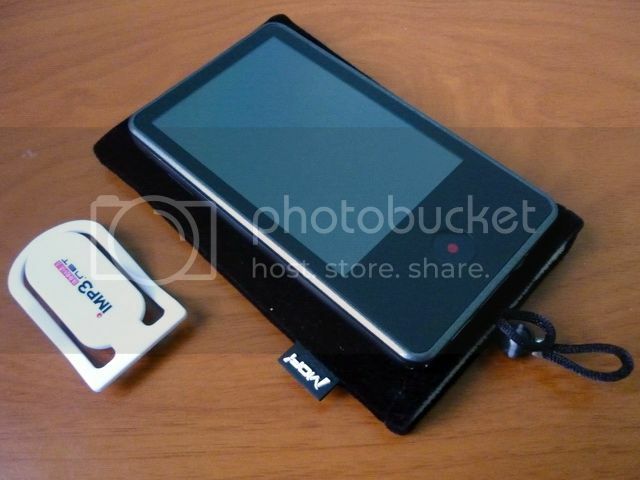 It is nice to have a photo viewer on such a nice looking screen, but it is more of a amusement than a necessity. Let talk about the headphone-out first. It is based on the Phillips UDA1308 opamp, fed by a dual Wolfson WM8740 DAC (which is a little overkill in a portable player). 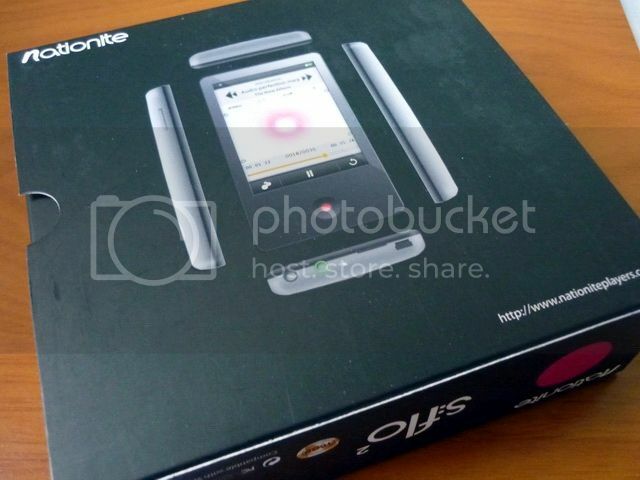 Phillips has sort of developed a reputation among the Chinese for making good sounding opamp for portable player, which is likely the reason why its opamp was chosen for the headphone-out (HO). Putting the technology aside, the headphone-out is clean and powerful - not just being able to drive a headphone loud, but actually has enough current reserve to give some slightly more demanding headphone a full swing around. The HO isn’t as cold and dry sounding as my nano4, nor is it as warm as my Sansa Fuze. It is more in between, cold and analytical but no dry. It also has an excellent extension at both end of the frequency response, presenting crisp detail and impactful bass. 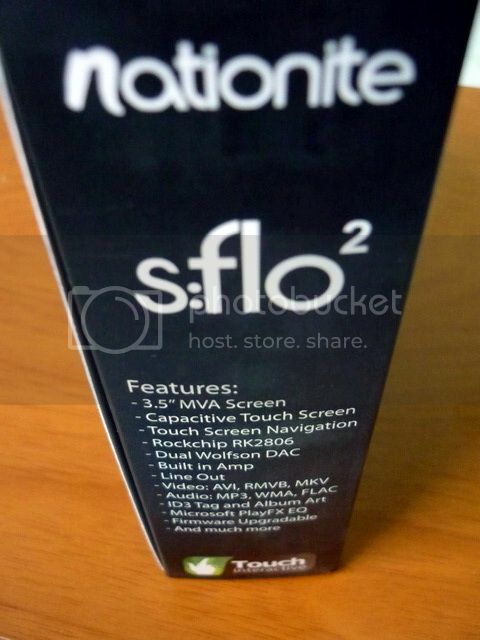 It is no doubt to me that s:flo² has a better HO than both my Fuze and Nano4. In fact, the HO is so well that it is capable of matching most $100 portable amp IMO. I gave a quick comparison between the HO and my iBasso T4 on s:flo² line-out (which outputs independent from the HO) using my RE0. To my surprise, T4 isn't better than the HO. T4 is warmer and slightly fuller on the bottom end, but s:flo² LO has better detail, separation, and soundstage. My new Linearossa W1 is on par / slightly better compared to the HO, and only with the new T3D (which is noticeably better than T4) that I can say in definite that it is better than s:flo² LO, but only in a small margin that I am not sure it will justify the extra price tag. So what does this means? It means I don't think you really need to be bother with adding any entry to mid class portable amp to s:flo² as far as price/performance ratio is concern. I seriously doubt any sub$150 portable amp will give you a very satisfying return in term of improvement without your own mod and significant improvement on the amp itself. It is just not worth the effort. Now let’s talk about the line-out (LO). It is just as clean, if not cleaner than the HO signal. As mentioned, you shouldn't be bothering with a lower class portable amp. The signal is so clean it really shines with a good amp. I was lucky enough to play around with a demo set of Graham Slee Voyager driving a rare pair (in this part of the world) of JVC HP-DX1000 woody fed by s:flo² LO and the result is quite amazing as far as a portable setup is concern. I tried a well burnt-in RSA Tomahawk along with the W1 and T3D at the same time and immediately I can notice the lack of adequate driving power and refinement in all of them. But given the fact that none of them are meant to drive big can, it is understandable why they can't keep to with the Voyager. The easy access of the 3.5mm jack and the use of firm caps as coupling caps are also major plus side of s:flo² LO. All you need is a decent mini-to-mini interconnecting cable and you are cooking! One of the thing you want to take note is the noise floor (electrical hiss) rises noticeably when you are playing music and have the screen turns on at the same time. If you are using sensitive headphone, you can pick up the electrical noise in low volume when your music is on quiet passage (but not much when music is playing) or when you turn the volume to minimum. The noise is unaffected by the volume and only present when the screen is on. Teclast tech support has explained that the noise is generated by the voltage step up circuit needed to drive the screen, which is why the noise will stop once the screen is off. The good news is the noise is to confine mainly to the headphone-out, and only slightly significant during music playback with very sensitive headphone. I didn't detect much noise on the video playback. Since the screen is auto-off in default (with selectable timing), this issue should be minimum unless you want the screen to be on all the time and waste a great deal of battery life that isn't much to begin with. By the way, don't bother with low bitrate music as well. I think 192kbps is really the minimum of the minimum here. You will be better off with 256kbps and better. I did compare 320kbps mp3 files with Flac, and I can notice a very tiny bit of upper detail being missing from the 320kbps files which is usually unnoticeable on my Fuze. But consider that it is only a minimum lose in SQ, easier operation and a big saving on file size and battery life, using 320kbps is more reasonable and justifiable IMO. Overall I have to say s:flo² is really quite a good /great/ sounding player in the sub-$200 range. Sure you can get a new a nano5 for around the same price range with all the sleek and trendy 'cool' factor, but s:flo² is hard to beat when it comes to SQ. Again, as repeated multiple times in the review: Do not buy s:flo² if you are looking for an easy-to-go, light, sleek, trendy, multi-function portable player with camera support. Only consider s:flo² / T51 for what it does best: music playback, and in this case, better than average in its price range. There are still room for improvements, mainly on the firmware and a better battery life. Beyond that, I think it is more than capable of replacing my Fuze + LOD + T4 as my main probable player from now on. 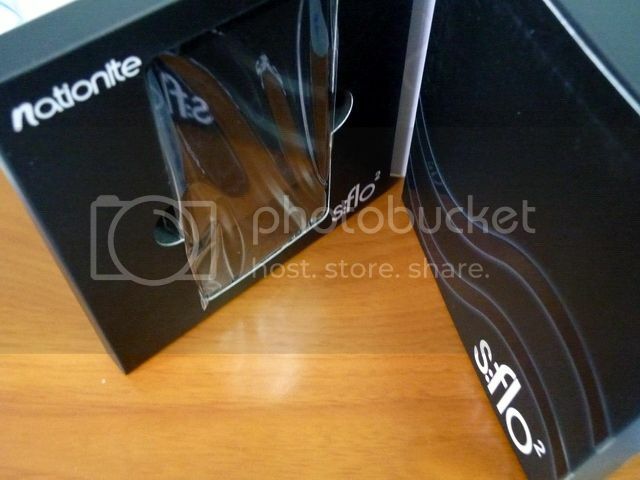 One last thing: get yourself a good headphone before getting the s:flo². It puts a smile on your face. 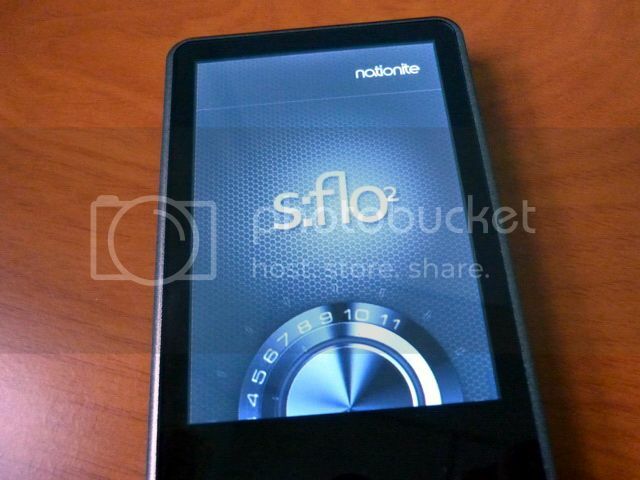 Nationite s:flo² is available at MP4Nation.net. 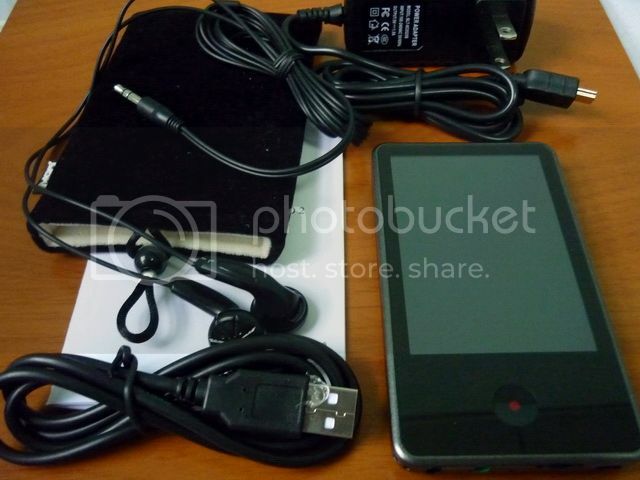 Price are about US$140 for 8GB and US$180 for 16GB models.